1. Add pecans, walnuts, vanilla and salt In the bowl of a food processor fitted with an “S” blade. Process until finely crumbled. Note: you want fine crumbles, not nut butter. Process just a bit - too much processing will create nut butter. 2. Continue processing while adding crystallized ginger, dates and maple syrup in small amounts. Keep adding until the crust starts sticking together. 3. Press completed crust onto bottom of greased, with coconut oil or coconut butter, 9 1/2 inch springform pan. 1. Blend all ingredients until smooth - except lecithin and coconut butter. (I prefer to use a VitaMix but a food processor or blender will work). 2. Add lecithin and coconut butter and continue blending until well incorporated. 3. Pour into the springform pan with prepared crust and set in the refrigerator overnight. 4. After the pie has set overnight, cut, serve, and enjoy! Note: you can conserve leftovers in the fridge for several days. 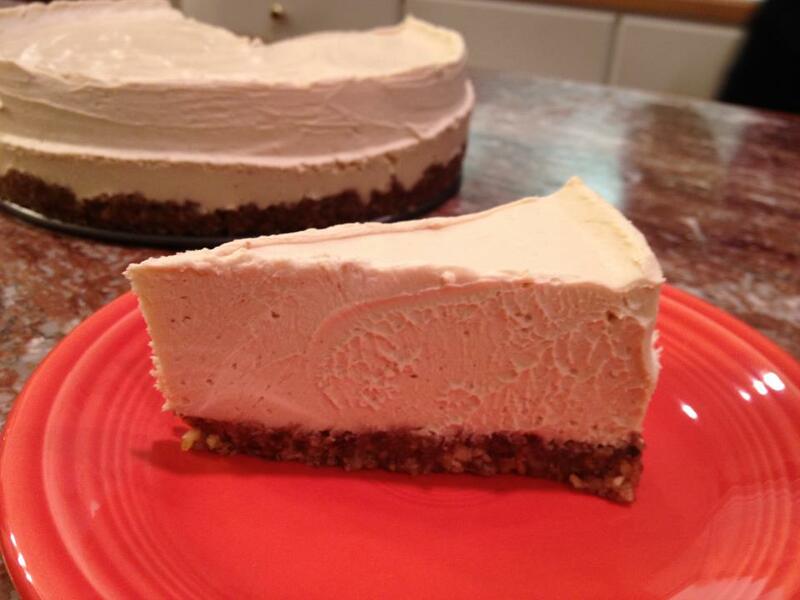 Let us know what you think of this easy vegan recipe: Key Lime Raw Cheesecake!